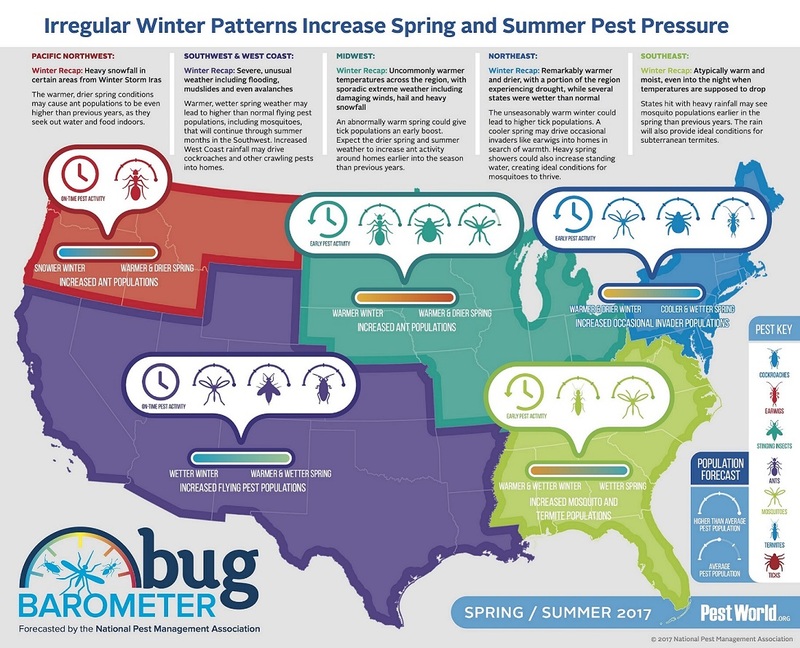 FAIRFAX, Va.–(BUSINESS WIRE)–The National Pest Management Association (NPMA) today released its bi-annual Bug Barometer, a guide depicting expected pest activity throughout the U.S. for the upcoming warmer seasons. According to the Bug Barometer, after exceptionally milder winter temperatures across much of the country, and periodic heavy precipitation or moisture in most areas, Americans can collectively expect a very buggy spring and summer. For more information on NPMA’s Bug Barometer or to learn more about protecting against household pests, visit PestWorld.org.